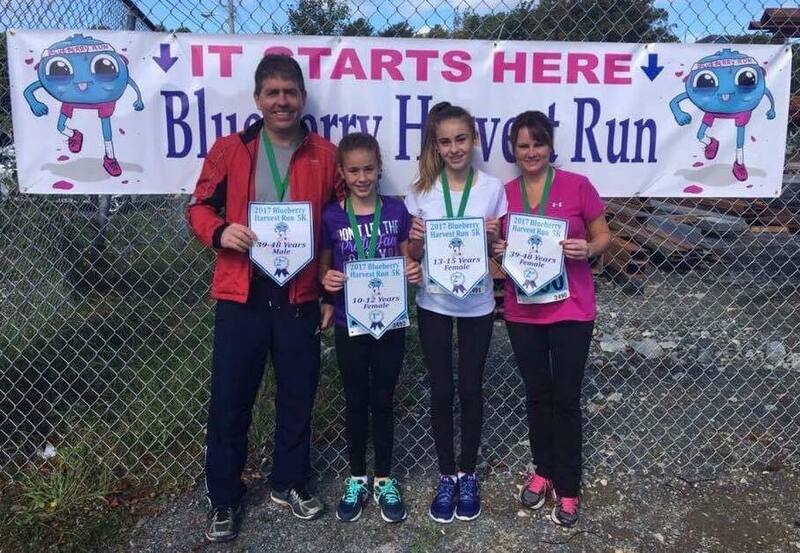 David Freake was the overall winner at last Sunday's Blueberry 10K in Harbour Grace, completing the course in 33 minutes 28 seconds. Jillian Carter won the ladies race in 46:49. 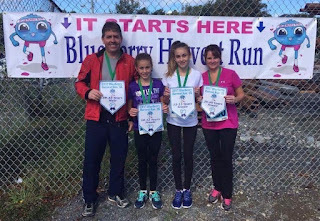 The 5K event was won by Patrick Tarrant in 20:39 with 1st place in the ladies going to Megan Ryan in 22:17. And in the 3K it was Joshua Kennedy in 12:15 and Maleah Durnford in 14:15. 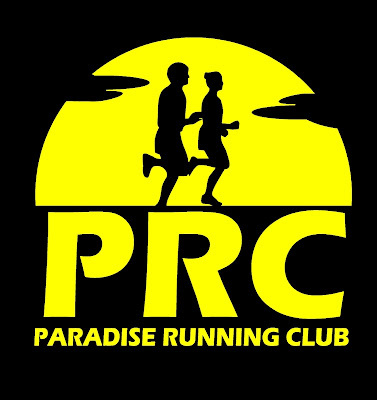 CLICK HERE for the results for all 173 finishers. Picture of the Smith Family compliments of the event Facebook page.